Poor nutrition, tobacco use, physical activity, ultraviolet light, radon gas, infectious agents like bacteria, fungus and parasites, chemotherapy, radiation, immune system-suppressing drugs …interesting that they don’t come right out and say that cancer treatment can cause cancer:(, chemicals, solvents, sprays, cleansers, vapors, air quality, herbicides, pesticides, paint vapors, gasoline, other chemicals, xenohormones or estrogens in water, herbicides, pesticides, and toxic air. Substances and exposures that can lead to cancer are called carcinogens. Some carcinogens do not affect your DNA directly, but lead to cancer in other ways. Carcinogens do not cause cancer in every case, all the time. Substances labeled as carcinogens may have different levels of cancer-causing potential. Some may cause cancer only after prolonged, high levels of exposure. And for any particular person, the risk of developing cancer depends on many factors, including how they are exposed to a carcinogen, the length and intensity of the exposure, and the person’s genetic makeup. In October there is a lot of attention on breast cancer. Cancer plays a role in the lives of most people, either directly or indirectly. So why is breast cancer, in particular so prolific. In the US alone, breast cancer takes the lives of 45,000 women a year. Many in the prime of life! 95% of all breast cancer cases are caused by excess estrogen. So we will be looking at managing estrogen here and to manage your estrogen levels you need to understand the principles of apoptosis (limited cell life) and liver health. The liver is responsible for clearing excessive estrogen from your body so adapting habits that keep it healthy is a must. Iodine (which most of you know is extremely important to thyroid health) is antagonized by three halides (bromine, fluorine, chlorine). All of these deplete your iodine sources. Iodine is not only needed for thyroid health, but it assists in proper colon function and reduces liver stress thus allowing it to function better and eliminate excess estrogen more efficiently. Where do we find halides? Municipal drinking water, bakery products (after 1960, bromine was substituted for iodine due to misinformation about iodine), Gatorade and other sports drinks, some water purifiers so be careful what you buy, medications, pesticides (methylbromide used on foods such as strawberries), pools, hot tubs, car interiors (Love that new car smell!! ), flouride toothpaste. Basically flouride, flourine, bromide, bromine, chloride and chlorine all are a problem. See the link for more info on iodine inhibitors. Here’s an excerpt from a previous blog that further explains how it’s not only estrogen that’s the problem but estrogen mimics. Years ago, it was found that estrogen added to cancer cells caused the cancers to grow like wild fire. (Hmmm…is that why in their infinite wisdom, the medical world was promoting estrogen replacement? Big pharma, MORE $$$$$ MORE CANCER MORE $$$$) Later researchers accidentally found that cancers cultured in plastic petri dishes had dramatically accelerated growth even without adding estrogen. It turned out that the phthalates leeching out of the plastic containers were such potent cast estrogen mimics that they turned on the growth of cancer cells. It’s obvious then that synthetic estrogens, whether they are from prescriptions or from estrogen mimics, can alter our chances for breast and other types of cancer. The bad news is that our society is swimming in a sea of estrogen. Estrogen mimics or xenoestrogens are used in plastic bottles that hold pop and bottled water. They’re also used in plastic wraps that wrap supermarket meats and vegetables, etc. (Best to avoid microwave ovens all together but for sure DO NOT put plastic wrap over food and reheat it in a mikey.) So don’t be drinking water from plastic bottles either. Have you ever seen a big flat of bottled water sitting outside a store like say Walmart in the hot sun? What do you think is happening to the water? Yep…toxins from the heated plastic are going into the water. Also, think about cosmetics…full of chemicals. Find a company that produces natural cosmetics. Take a further look into the sources of these chemicals and how they get into our food and water supply so you can be more savvy. Check out the link below to Dr. Mercola’s chat with Dr. Christine Horner, author of ‘Waking the Warrior Goddess’. She has some good info and options for screening instead of mammograms. You can read the full blog and get the link to this interview here. So what have we learned here? First of all avoid halides as much as possible. Not only will it help prevent cancer but it will help to keep your thyroid gland functioning normally. I call the thyroid your ‘happy’ gland. A great way to become depressed and end up on anti-depressants is to let your thyroid go without the support it needs. What I do is take some Iodine every day, not only for my thyroid but for prevention of cancer. Biotics make it in 2 forms one in a tablet form and one liquid. http://www.co-creative-health-solutions.com/Common-Conditions.html more info here on iodine inhibitors. So basically eat a healthy organic diet as much as possible. We tend toward the vegetable based paleo diet and I’m not talking about vegetarianism here. Use the 80/20 rule so you don’t get too stressed out over things. We still have to have some fun! Avoid halides, get an iodine supplement, and support your liver. Another good thing to do is use a mineral supplement. And don’t get some cheap brand. Get a nutraceutical brand like Biotics Research – Multi Mins, Standard Process – All Organic Trace Mins or Nutri West – Trace Min +. These need to be purchased through health care practitioners and there’s a reason for that. These are high quality supplements designed to treat conditions so the products need to be really high quality and properly formulated. We mostly use Biotics. If you get cheap mins, you can’t absorb a lot of them and they can deposit where you don’t want them and cause issues. I recommend using nutraceuticals for any supplement you take. Another really great thing to use for many reasons is Vitamin D as it is commonly deficient for reasons such as avoiding sunshine, sun screen, where you live and your age. Adequate vitamin D improves apoptosis. So when there is lots of sun, you may be able to get away without a supplement but people with darker skin may tend to have lower D levels so may consider supplementing always. We generally use Biotics Bio D Mulsion but there are other nutraceutical companies with Vitamin D products. For liver support…Phosphatidylcholine (Biotics). This may also enhance gut function, adrenal efficiency, neurological capabilities and short term memory. In Japan the average daily intake of iodine is 13.8 mg. The US RDA is 150 mcg. Japan has lower incidence of breast cancer, hypothyroid and feminizing cancers. Iodine deficiency is the main predisposing factor for breast cancer and fibrocystic disease. Women share their iodine with thyroid, breasts and ovaries. Before 1960, risk for breast cancer was 1:20. After 1960, iodine in bread was replaced with bromide. Breast cancer is now 1:8 and rising at 1% per year. So contact us to order any of the products mentioned. Why is the Paleo Diet the Best? One wonders if any one way of eating is right for everyone and of course there will always be variations for each individual. However, from all our time in the holistic health business, the one way of eating that stands out is the Paleo Diet. For one thing…it isn’t a ‘diet’ per se. It’s just the right way to eat so if you are doing that, you shouldn’t gain unwanted fat. Just be aware that there are 2 takes on the paleo diet. One is protein, protein, protein so high in meats, fish and other proteins. The other one, which I think is a better way for most is the vegetable based paleo diet. This can be vegetarian but not necessarily and for myself, I don’t feel great on a veg diet so I prefer to include meat and fish but just not tons. So just be aware of that as you plan out what works best for you. So what does it entail…basically, think about what our early ancestors would have eaten…before farming started. They would have had some meat, fish, vegetables and greens they could gather, nuts, seeds, berries and other fruit when in season. They would not have eaten out of season and they would not have had grains so therefore no gluten. It is becoming more and more known how much harm gluten does to us. So I know it’s hard to give up bread and the like but if you truly want to be healthy you must cut it out or severely limit it. Watch the media in the future and you will see this start to become mainstream much to the grain farmers chagrin. But it isn’t just wheat…rice is a starch too and there are some other grains that don’t have gluten but still give you a big sugar hit due to the starch content so they really should be limited too. We really don’t need grains so eat them either not at all or sparingly. Then there’s dairy…it is one of the biggest allergens that we consume along with corn (most is GMO), wheat and other gluten foods, soy (also GMO). So unless it’s goat’s milk or fermented it’s best to also keep dairy low on the totem pole of foods you consume. A true paleo diet would not include dairy. They also would have gotten fat in their diet from the food so the fat in meat, fish, maybe eggs to a certain extent (some people can be allergic) , seeds and nuts. They would not have used oils. However, if you use cold pressed oils like olive and grape seed that’s acceptable but be careful in cooking that you aren’t burning the oil. Coconut oil is a good choice too. I am of the mind that moderation is always best. When we go too extreme, it’s hard to live in this world but do your best to adhere more to this type of diet and you will reap the benefits health wise. Meat and Poultry from organic sources, fish (not farmed) and be aware of the radiation content due to Fukoshima so think of where it’s coming from. The Pacific got the big blast unfortunately. Small amounts of cold pressed oils…NO Canola!! Olive and grape seed are best, Flax, coconut. What we do in the morning is either raw granola (see my other blog ‘Good Nutrition in a Nutshell’ for recipes), poached eggs with some raw flat bread or some veggies or berries, raw flat bread with nut/seed pate and sprouts. A Paleo Wrap with scrambled eggs and veg or nut pate and sprouts etc. So we try to put some emphasis on raw food at breakfast and lunch. Lunch could be soup with veg and meat, raw falafels with tzatziki and olives in a lettuce leaf wrap, raw flat bread with avocado, tomatoes, sprouts, and whatever else you want on there…maybe some left over organic chicken etc. Salad…I keep some cider/lemon marinated veg handy so that if I’m rushed I don’t have to chop etc and that way I can make sure I get my veggie quota for the day. We make our own dressings too. I would suggest investing in a dehydrator so you can make the raw foods and they keep really well so make lots of the flat bread and granola so you are good to go for a while. When preparing food in the dehydrator, temp must not be above 113 F or enzymes and goodies will be destroyed. Dinner will consist of some cooked protein, a big salad and some other cooked veg. Sometimes it’s just a big salad with some protein added. Do we ever make fried chicken, lasagna and all those favourites? Yes, but rarely and we use organic chicken and a reasonable oil for frying but deep frying doses cause the oil to change for the worst so it is best to do this only occasionally. I use non gluten noodles for pasta or I use my spiralizer to make zucchini noodles or maybe some spaghetti squash on occasion. So you can see even when you are breaking the rules, you can still make better choices. It’s also a REALLY good idea to take digestive enzymes when eating the odd meal like this or if eating out. So our take on things is a combo of the paleo diet and raw foods. In our raw food recipes we do use some sprouted buckwheat and garbanzo beans but the sprouting makes them easy to process in our bodies. So we aren’t strictly adhering to the paleo diet but this combination works well for us. You have to find your own balance. I’m attaching a food list and menu plan from Biotics ‘Control-It’ weight loss program. It’s stricter than my take on things but it is specifically for weight loss. They also recommend an appropriate EFA supplement, adrenal support and nutrient packed rice protein powder to go along with the food plan. Control-IT_ApprovedFoodList Keep in mind they are saying tofu, edamame are ok but they are trying to cater to the vegans as well so I personally wouldn’t eat these. This is not entirely a paleo diet as some might see it as they are allowing a very small amount of starch from grains like rice and oats. My parting words are…don’t go nuts (no pun intended) beating yourself up. Make the transition slowly and remember we also need to have fun and stuff our faces with pizza once in a while. LOL Just remember…heavy on the ‘once in a while’! AND if you are allergic or sensitive to gluten…maybe choose a gluten free crust:) Anyway…basically…take one day at a time and think about the consequences of continuing to eat the way modern society has taught us. Go back to basics and you will be glad you did. I’ll be posting more raw and paleo oriented recipes on my other blog as I go along but there are some up there now for you. Here’s a couple of links to other paleo diet sites…one says no salt but that I can’t go with. Use grey, celtic salt, himalayan or any other GOOD quality sea or land salt. Biotics Research Corp. is our main nutrition provider. We are fortunate that within this FDA approved facility there is an outstanding educational provider, Dr. Alex Vasquez, with degrees in Chiropractic, Naturopathy and Osteopathy. (You can see why Dr. Van Dueck is so keen on their products)! On January 8 Dr. Vasquez presented a webinar on radiation, particularly in regards to Fukoshima’s nuclear meltdown. He is a member of the AMA program called Advanced Disaster Life Support, which deals with chemical and terrorist warfare. His credentials are exemplary. The title was chosen because of this … the results of nutritional deficiencies are very similar to those of poisoning from radiation!!! The body suffers similar reactions in both cases! BOTTOM LINE: effects in organs such as the stomach or glands like the thyroid is rusting, called oxidation. This can occur in the bone marrow as well. But in the brain it is called liquefaction. That just sounds awful, but is the reality. In radiation exposure it happens quickly. Nutritional deficiencies take time, but can end up just as devastating (dementias, parkinsons, multiple sclerosis, etc.) So what do we do in both cases; – learn how to shield and protect! That’s what anti-oxidants are all about. Who would of thought of that connection? – Biological researchers, that’s who! After all, our brain is a basic nuclear power plant; it’s fueled by blood sugar to produce power. The exposure from Fukoshima was estimated at 30% of that at Chernobyl. BUT in this case 5% returned to Japan and 95% went into the ocean and air. Is that why seastars show wasting syndrome, sport salmon stocks are down and walruses and seals have severe skin lesions? The biological effects in both radiation poisoning and nutritional deficiencies over time rearrange our electrons and therefore change our DNA. And these changes we pass on to our children. (There has been a 16% increase in congenital hypothyroidism in newborns according to records from 2011)! Here are suggestions: cchs@shaw.ca for more info. 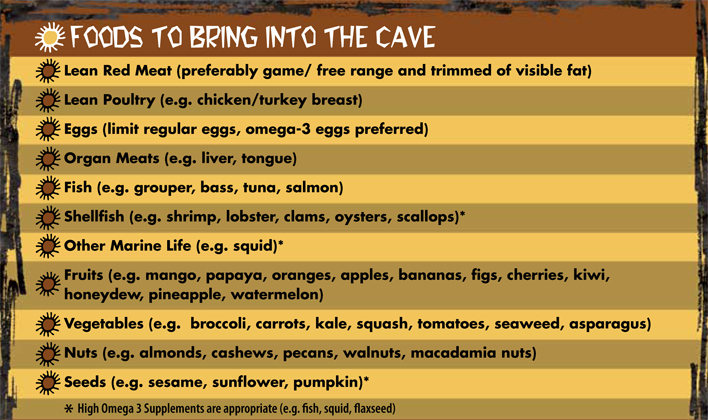 Paleo plant based diet…this isn’t necessarily a vegetarian diet. It generally consists of mostly fruit, nuts and seeds, vegetables and small amounts of animal protein. To order products, email us. Products are available through health care practitioners only. PS…it isn’t over yet with Fukoshima…it isn’t entirely under control and the effects that have already been unleashed will last at least another 20 years. Certain foods like tuna, concentrate the radiation more so since there is no clearly established safe level of radiation, limiting these foods is a good idea.